Thanks for the compliments on the Geo. It's taken a lot of testing and effort to get it driving as well as it does. It belongs to me and GaryM, and has lots of wrench time from several other ETR members. It's actually a Ford 3.0L DOHC V6 in the back. I wasn't at the event Sunday. Gary and Ryan were driving it. The car is spending the weekend at CMP competing in a 24 hours of LeMons race. That's what the car was built for. You can follow along with the progress on Facebook. I realize it was quite a cluster at this event buuuuut... we ever gonna see results? Down side to not having any results, I have to check everyday. Upside, I can just assume I made the perfect adjustment on my last run and won my class. ke0ki2k wrote: I realize it was quite a cluster at this event buuuuut... we ever gonna see results? and yet another candidate for "Timing Chief" ??? In all seriousness, I should be able to have them up this week. I had a death in the family last week so I wasn't able to do much with them. 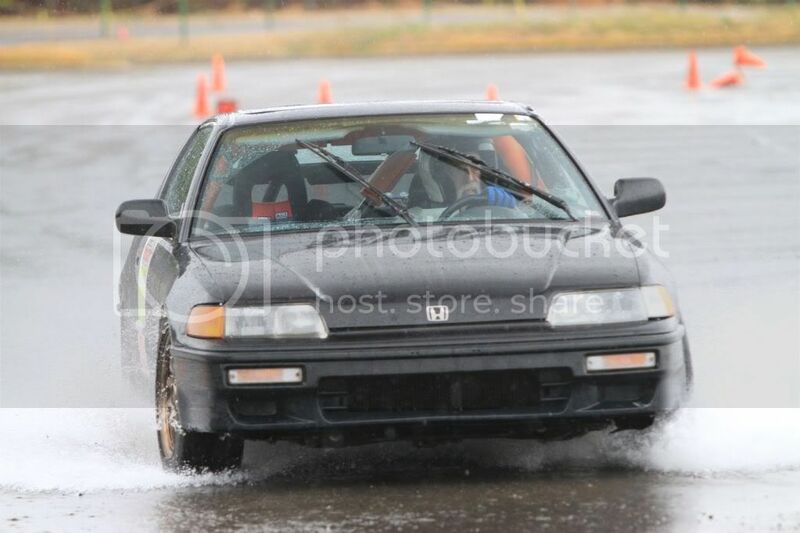 kaseysdad14 wrote: This was my first autocross ever. Know its not how they usually go but I had fun. Its killing me, me last run was the best as I think I figured out my gearing by then, but with the board down and no smart phone I still have no idea what I ran, where I placed or anything. I have to really respect whoever drove the Geo. With that v8 in the back I knew that thing would have under steer but had no idea it would be that much. I worked corner 4 last group and watching that thing almost wheelie up the hill was great. When they came around that jog in the upper section between the sweepers it laid down a dead straight set of marks. I must say after admiring the geo for so long it really was a treat to get behind the wheel and try to tame the beast. that being said, my apologies to the course workers for my first three very dirty runs a big thank you to Gary and the guys for letting me drive! Thanks for the thoughts, guys. Really appreciate it. We'll be working on these results tomorrow night. All goes well, and they should be up about this time tomorrow.